Outside of work, I share my energy among my many passions. I enjoy letterpress printing and bookmaking, woodworking and old cars, mainly vintage SAABs. I serve on the boards of the Center for Book Arts (NYC), the Saint Louis Hillel (STL), I'm also the new president of the Vintage Saab Club of North America. Currently I also serve on the board of Ramah Darom, a regional, educational Jewish summer camp located in Northern Georgia, where I am the treasurer. I'm deeply interested in vintage cars of all kinds, but have a passion for SAABs. 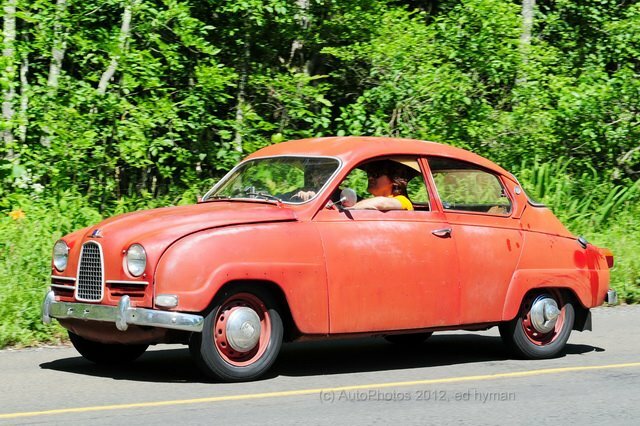 My current automotive project is a three-cylinder, two-stroke 1960 SAAB 96, an early example of the model that is slowly coming back to life after almost twenty years in a South Dakota field (check out this feature on ClunkBucket!). Just this year, with a fellow gear head, I won the Worst of Show at the Concours d'Lemons as part of Monterey Car Week. I've never been prouder! Additionally, I have recently completed my second artist book, a letter-pressed accordion book for use at the Friday Night Shabbat Dinner table, in an edition of 130. My first book was a hand-set, hard cover book recounting the history of my grandparent's home in Beaver Falls, PA, printed in edition of fifteen. One copy of the book currently resides in the permanent collection of the reference library at the Beaver County Historical Foundation. In Vermont, together with the Diane Birdsall Gallery, I created a public art installation on Route 30, energizing the Village of Newfane, adding beauty to a space that was previously decrepit. I have spent considerable time on the development and marketing of a unique iPhone wallet case, the iHold. Along with my team, we were one of the very first to develop an iPhone case with provisions for carrying credit cards and IDs. It remains an elegant solution in the balance of cutting edge technology and old fashioned requirements for identification and commerce. ​I love a good vintage car rally on a Sunday!